A warm Xtrac welcome to our 2017 industrial Placement Students: Alexandra Squires (University of Sussex), Aislinn Smith (Newcastle University), Anthony Lane (University of Birmingham), Daniel Terry (University of Sheffield) and Zak Whitaker (University of Huddersfield). Alexandra has joined our Purchasing Team as a Trainee Operations Assistant helping to manage our crucial multi-million pound supply chain which is a key part of Xtrac’s success. Daniel, Anthony, Aislinn and Zak have joined us as Trainee Design Engineers in our state of the art Engineering Department using the very latest Siemens NX CAE system. All of our students are working on real projects for top level professional Motorsport such as Formula One, Formula E and GT racing, as well as on projects for our High Performance Automotive sector for advanced hybrids and electric vehicles (EVs) adding real value to the business from the day they start. Xtrac have been running an Industrial placement program for more than 20 years and have subsequently had many placement students return as Graduate Engineers, following the completion of their studies. In the fullness of time most of our past graduate engineers develop their careers at Xtrac gaining promotions to Senior and Principal Engineer roles leading high technology projects. In order for our Graduates to progress in their career, part of the learning and development path they follow includes the opportunity to work in one of our North American offices in Mooresville NC or Indianapolis IN on a three month secondment giving them valuable in depth experience of supporting a variety of major race series, in what is a very vibrant sector. Our Engineers travel to customer sites and track side to give race and test support across the globe. For example, Research & Development Engineer and valued engineering team member, Mark Lewis has recently supported customer tests and events across Europe and in North Africa. Mark completed a placement year with Xtrac in 2012/13 and returned following his graduation in 2014. It is clear to see how far Mark has come in his career and we are happy to be steering and guiding him through his journey. We at Xtrac believe in investing in our people and see our placement students not just as temporary staff but as our future leaders and therefore ensure that during their year with us they gain as much relevant experience as possible, so that they can return after graduation and continue to grow with Xtrac. To give a better understanding of what it is like to work at Xtrac we will be posting “day in the life” stories from our placement students and other Xtrac employees across the business in the coming months. Applications for our 2018 industrial placement open in October 2017 under the Careers section of our website. 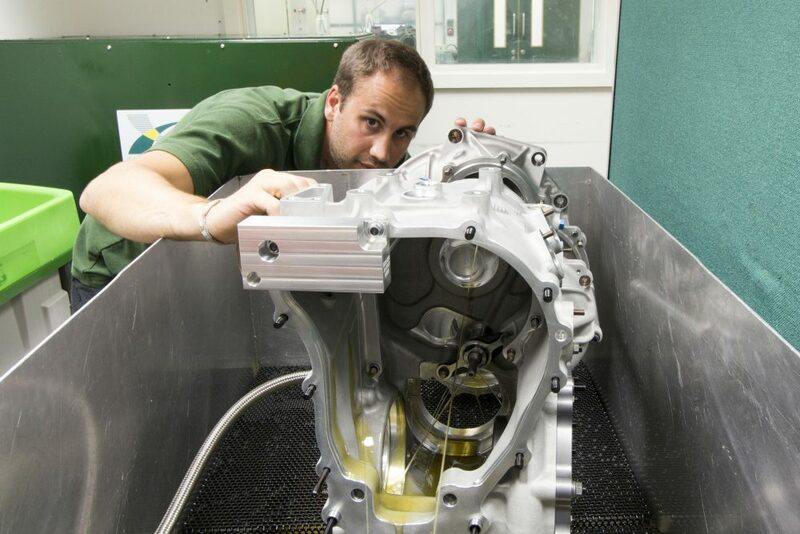 Mark Lewis Conducting Oil System Testing of a New Gearbox Design.